Sample sale items from £10. 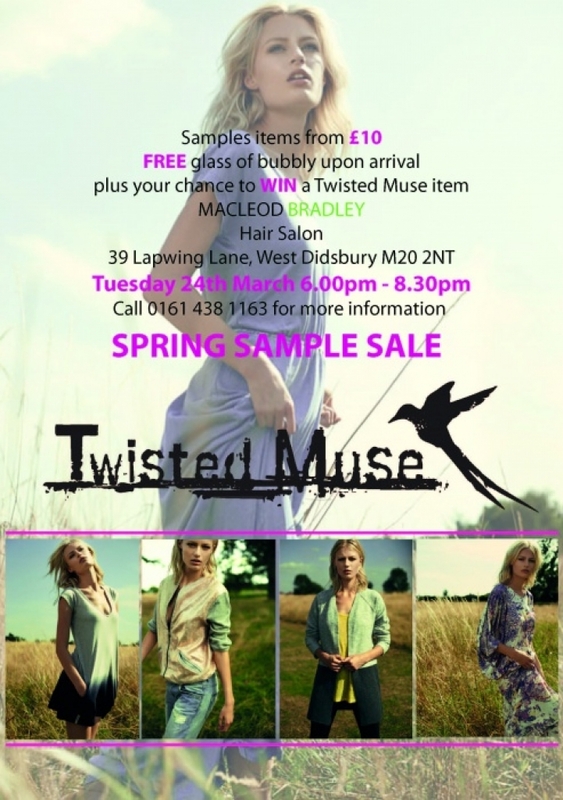 Free glass of bubbly upon arrival, plus your chance to win a Twisted Muse item! Call 0161 438 1163 for more information.